Is your brand new NATO strap a little too stiff? Well don’t worry, just like leather straps, and leather anything for that matter, NATO straps take a little while to break in and become molded to your wrist. Luckily, there is a quick way to speed up this break-in process and it’s as simple as doing a load of laundry. 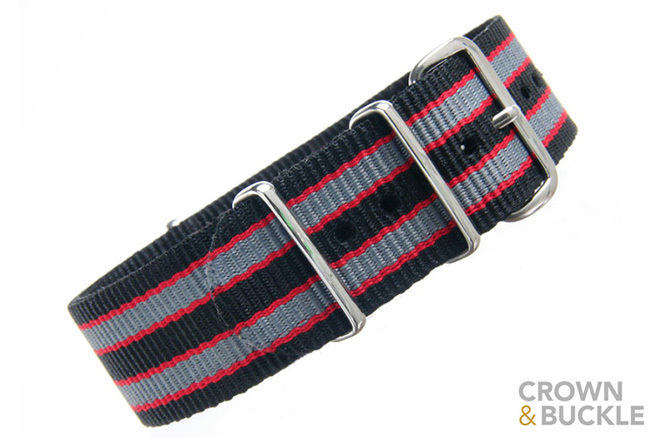 I just received this new 22mm NATO strap from Crown & Buckle, but like all new NATO’s it was a bit stiff. So whats the trick? 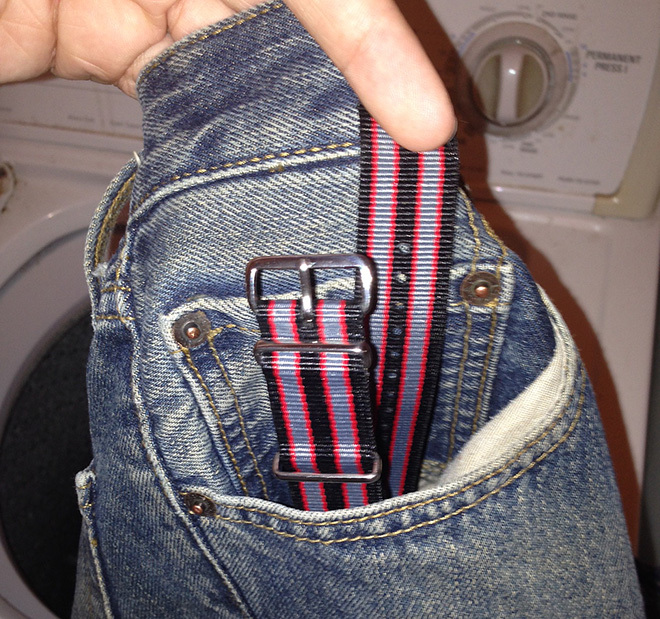 Simply drop your new strap into the pocket of a pair of pants when they’re going into the washing machine. Once the wash is done check to make sure the strap is still in your pants pocket and add a fabric softener sheet before tossing them into the dryer. 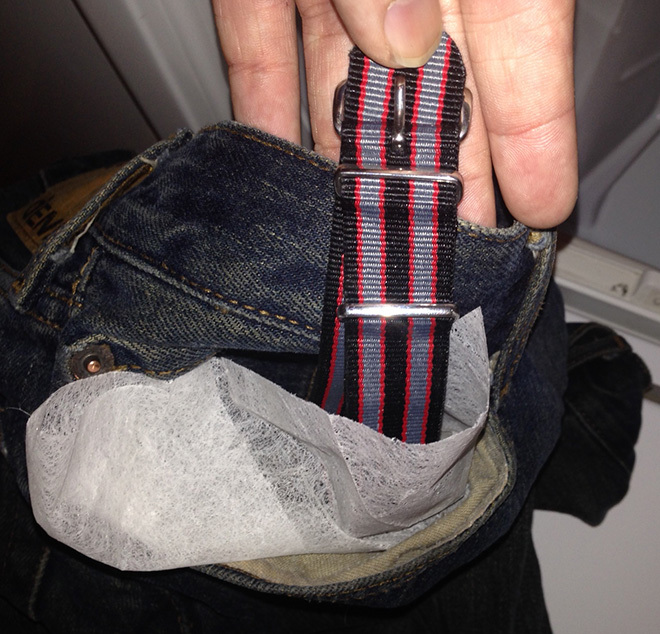 Chances are the strap will fall out of the pocket while it’s bouncing around in there, so add a balled up sock to the pocket to keep the NATO in place. Once the laundry is done your strap should be nice and soft, and should smell like fresh laundry to boot!